Kirk-Rudy has been a long-time exhibitor at the Graph Expo shows and the (quadrennial) PRINT show. Recently, the sole owner of the shows, NPES, transformed and renamed their organization to The Association for Print Technologies. They also re-branded the shows and, going forward, it will now be known as PRINT (plus the year). PRINT 18 will be held in Chicago, at McCormick Place South, September 30th thru October 2nd. “With the entire graphic communications industry in a state of major transformation, we are in a unique position to redefine ourselves as an organization and provide a new vision for the future”, said Thayer Long, President of the Association for Print Technologies (APT). 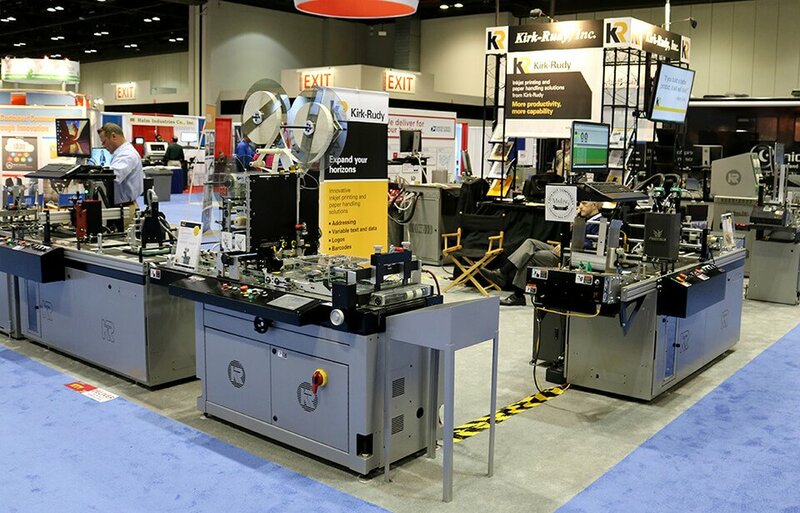 Kirk-Rudy has always used this trade show to reach the printing industry and demonstrate, on the show floor, their vast selection of unique equipment used for variable data inkjet printing and direct mail finishing. “While many companies have scaled back their expenditures at the trade shows, bringing less equipment and reducing booth sizes, we believe the best way for visitors to understand the value of our equipment is to see it operating on the showroom floor. These visitors are able to make better informed decisions when the time comes,” states Rick Marshall, Kirk-Rudy President. Located in a 20’x40′ island booth (#2036) in the Mailing Pavilion section, Kirk-Rudy will be bringing their latest inkjet printing systems, along with their most popular mail finishing equipment offerings. Visit Kirk-Rudy’s Trade Show page at www.kirkrudy.com/trade-shows-events/ for more information.